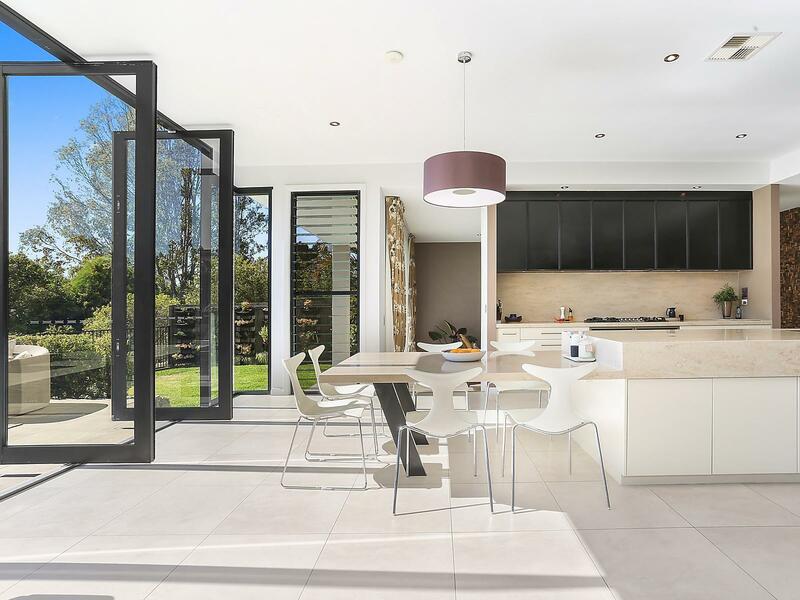 A house in Sinnamon Park has broken the suburb record after it sold for $2.5 million through Reuben Packer-Hill and Jack Goulmy of McGrath. Pictured: 32 Burdekin Drive, Sinnamon Park which broke the suburb record $2.5 million through Reuben Packer-Hill and Jack Goulmy of McGrath. The sale of 32 Burdekin Drive in Sinnamon Park has set a new residential record price for the suburb. The previous suburb record was broken by 28 Staveley Close, which sold for $2.25 million in 2016. Listing agent, Reuben Packer-Hill says the buyer saw the property listed on social media. "We ran a three week private treaty campaign with a mix of digital and print media. The successful buyer actually first saw the property on Facebook and came from the local area," Mr Packer-Hill told WILLIAMS MEDIA. Mr Packer-Hill says the buyer was a local young family. Pictured: 32 Burdekin Drive, Sinnamon Park which broke the suburb record $2.5 million through Reuben Packer-Hill and Jack Goulmy of McGrath as seen on Luxury List. "They saw the property off a social media campaign that I ran as a soft launch before it was launched to market. They were the second person inspecting the property - the negotiation subsequently took a week or two." "The social media campaign attracted over 20,000 Facebook views in just three weeks - it's a high amount for an online viewing in that amount of time! Most people are attracting a couple of thousand off viewing websites. We had eighteen groups inspect the property over a fortnight and most of them were locals - they know and love the area." Mr Packer-Hill says the home was custom designed by the previous owners' father. "The owners' family come from a background of real estate development in Canada. From her dad's career, she took on board a lot of his concepts and designs from his childhood, and she tried to put that into his house. "It's a very open plan house, lots of high ceilings, custom joinery, lavish use of stone benches and glass - a lot of that was taken from her father," Mr Packer-Hill said. Mr Packer-Hill says the sale reflects the confidence in the higher end of the Sinnamon Park market. "We've had a great three months in the area - we've sold just over $16 million worth of property in the last three months alone," he said. "There is a lot of confidence amongst buyers we're working with. Part of the reason the market is strong is because most buyers are coming from the local market, so they know the area and are upsizing, taking advantage of low interest rates." Located on the outskirts of Brisbane's CBD, Sinnamon Park's median property prices are soaring, reflecting the hot demand in the market. "This particular estate has been considered upmarket or prestige. This particular pocket of the estate, because it's riverside has always had a prestige element or feel to it," Mr Packer-Hill said. "Brisbane has gone through capital growth over the last few years, so it's becoming more and more relevant that people are moving to the next suburb over, or a couple of suburbs out to establish better value for their money." View 32 Burdekin Drive, Sinnamon Park on Luxury List. View Reuben Packer-Hill's profile on Luxury List here. View Jack Goulmy's profile on Luxury List.